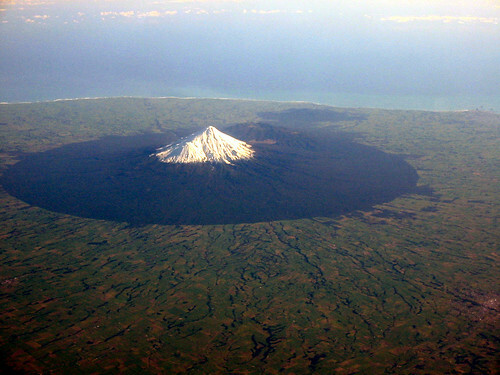 Mount Taranaki (aka Mount Egmont), New Zealand, is a volcano with almost perfect cone. 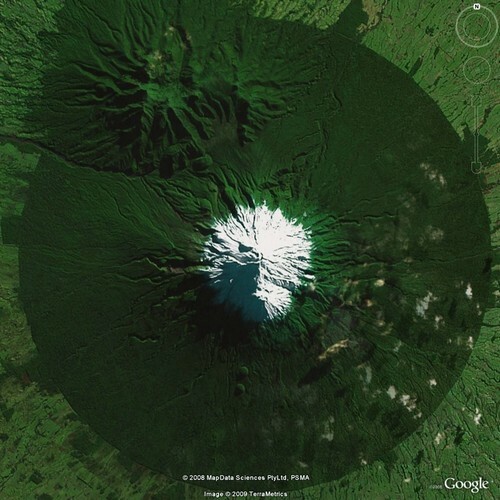 It last erupted in 1755 and is located within Egmont National Park whose protected/reserved area is specified as a 9.6 km radius from the summit of Mt. 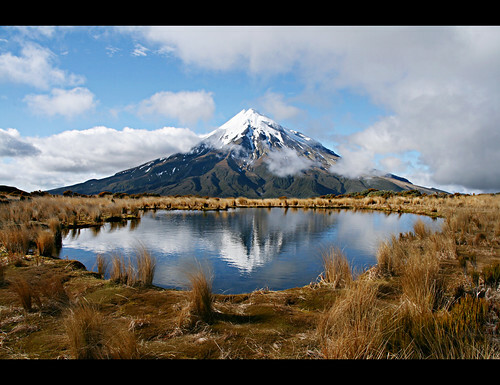 Taranaki. The almost unique circle shape seen in aerial/satellite imagery is due to contrast with the surrounding pasture lands which extend right upto the circular limits of the National Park. Because of it's shape and the surroundings, which resemble Mount Fuji, it was used as a locale for Tom Cruise's famous movie - The Last Samurai. Brilliant pictures and pretty colors. Congratulations!!!!!! Thank you David for your words of encouragement. I badly needed comments to get a feed back on my efforts. Thanks once again.